The wine selections in the following pages reflect our more than three decades of growing, making and enjoying extraordinary wines from the Napa Valley and Russian River Valley. Each gift is our way of sharing our passion for excellence and authenticity with both the giver and the receiver. Explore the gift collections on the following pages, or we can create gifts with wines you select. 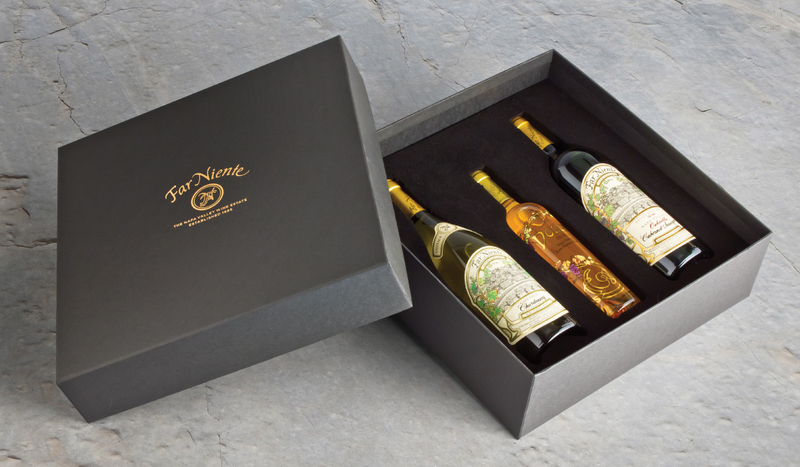 Order online or contact us for personal assistance: Far Niente at (707) 944-2861, or Nickel & Nickel at (707) 967-9600. Our two Far Niente estate classics are offered alongside a bottle of Liquid Gold for a touch of decadence. 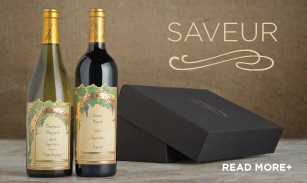 Shop and explore our beautifully boxed Napa Valley wine gifts, including collections featuring some of the best Napa Valley Cabernet vintages from Far Niente and Nickel & Nickel in Oakville, California. Looking for a taste of almost everything we do? Discover our Estate Collection, experience a taste of Il Dolce Far Niente, indulge in our six-bottle Single-Vineyard Collection or Make an Impression with our elegantly boxed large format wines. We’ve created this 2018 Gift Collection with the hope that each gift will not only meet, but also exceed, your expectations. If you don’t see a gift you love, our team of wine professionals are always ready to offer unparalleled service and expertise. Let them help you find seasonal wines for everyone on your list, and we’ll ensure they are delivered directly to your home or business address. Our online wine gift catalog is elegant and user-friendly, making it easy to browse from the comfort of your home or mobile device. If you’re sending gifts to multiple addresses, prefer custom wine gifts to meet your needs, or would like to hear more about our exciting corporate wine gift options, please connect with us at 707-944-2861.